Barrett, J. A. and S. Huttegger (2019) “Quantum Randomness and Underdetermination,” draft. Skyrms, B. and J. Barrett (2018) “Propositional Content in Signals,” preprint. Barrett, J. A., B.\ Skyrms, and C. T. Cochran (2018) “Hierarchical Models for the Evolution of Compositional Language,” Institute for Mathematical Behavioral Sciences Technical Report MBS 18-03. Barrett, J. A., A. Mohseni, B. Skyrms (2017) “Self-Assembling Networks,” forthcoming in The British Journal for the Philosophy of Science.” https://doi.org/10.1093/bjps/axx039 Graphic simulation of network formation. Barrett, J. A. and B. Skyrms (2017) “Self-Assembling Games,” The British Journal for the Philosophy of Science 68(2): 329-353, https://doi.org/10.1093/bjps/axv043. Barrett, J. A. (2017) “Typical Worlds,” Studies in the History and Philosophy of Modern Physics 58: 1-80. Barrett, J. A., C. T. Cochran, S. Huttegger, N. Fujiwara (2017) “Hybrid Learning in Signaling Games,” Journal of Experimental & Theoretical Artificial Intelligence 29(5): 1-9. Barrett, J. A. (2016) “Typicality in Pure Wave Mechanics,” Fluctuation and Noise Letters, Volume 15, Number 03, 1640009 (2016). Barrett, J. A. (2016) “Quantum Worlds,” Principia 20(1). Barrett, J. A. (2016) “Truth and Probability in Evolutionary Games,” Journal of Experimental & Theoretical Artificial Intelligence, Volume 29, Number 1, 219–225. Barrett, J. A. (2016) “Wigner’s Friend and Bell’s Beables,” Cadernos de História e Filosofia da Ciência 2(1) (2016): Série 4. Barrett, J. A. (2016) “On the Evolution of Truth,” Erkenntnis 81: 1323-1332. Barrett, J. A. (2015) “Pure Wave Mechanics and the Very Idea of Empirical Adequacy,” Synthese, Volume 192, Issue 10, pp 3071–3104. Barrett, J. A. (2014) “Everett’s Relative-State Formulation of Quantum Mechanics,” Stanford Encyclopedia of Philosophy. Barrett, J. A. (2014) “Rule-Following and the Evolution of Basic Concepts,” Philosophy of Science 81(5): 829-39. Barrett, J. A. (2014) “Description and the Problem of Priors,” Erkenntnis 79(6): 1343-53. Barrett, J. A. (2014) “Entanglement and Disentanglement in Relativistic Quantum Mechanics,” Studies in History and Philosophy of Modern Physics doi:10.1016/j.shpsb.2014.08.004. Barrett, J. A. (2014) “The Evolution, Appropriation, and Composition of Rules,” Synthese. http://dx.doi.org/10.1007/s11229-014-0421-6. Barrett, J. A. (2014) “On the Coevolution of Theory and Language and the Nature of Successful Inquiry” Erkenntnis 79(4): 821-834. Barrett, J. A. (2014) “The Prisoners Dilemma and the Coevolution of Descriptive and Predictive Dispositions,” forthcoming in The Prisoners Dilemma, Martin Peterson (ed), Cambridge University Press. Barrett, J. A. (2014) “Quantum Mechanics and Dualism,” in Quantum Physics Meets the Philosophy of Mind. A. Corradini and U. Meixner (eds. ), de Gruyter, Berlin/New York, pp. 65-82. Barrett, J. A., M. Dickson, and G. Purves (2013) “Evolutionary Prediction Games” PittSci Archive. Barrett, J. A. (2013) “On the Coevolution of Basic Arithmetic Language and Knowledge” Erkenntnis 78(5): 1025-1036. Barrett, J. A. (2013) “The Evolution of Simple Rule-Following” Biological Theory 8(2): 142-150. Barrett, J. A. 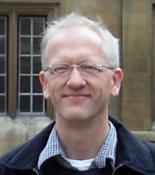 (2012) “The Quantum Measurement Problem and the Everett Interpretation” Berfrois, 21 June 2012. Barrett, J. A. and Peter Byrne (2012) The Everett Interpretation of Quantum Mechanics: Collected Works 1955-1980 with Commentary, Princeton University Press. Barrett, J. A. (2011) “Everett’s Pure Wave Mechanics and the Notion of Worlds” European Journal for Philosophy of Science 1 (2):277-302. doi: 10.1007/s13194-011-0023-9. Barrett, J. A. (2011) “On the Faithful Interpretation of Pure Wave Mechanics” British Journal for the Philosophy of Science. First published online June 2011 doi: 10.1093/bjps/axr004. Barrett, J. A. (2010) “A Structural Interpretation of Pure Wave Mechanics” Humana.Mente 13: 225-236. Barrett, J. A. and W. Aitken (2010) “A Note on the Physical Possibility of Ordinal Computation,” British Journal for the Philosophy of Science 61(4): 867-874. See Barrett, J.A. and W. Aitken (2009) “On the Physical Possibility of Ordinal Computation” for an extended version of the argument. Barrett, J.A. (2009) “Faithful description and the incommensurability of evolved languages,” Philosophical Studies 147: 123-137. Barrett, J. A. (2009) “The Evolution of Coding in Signaling Games,” Theory and Decision 67: 223-237. Barrett, J. A. and K. Zollman (2008) “The Role of Forgetting in the Evolution and Learning of Language,” Journal of Experimental and Theoretical Artificial Intelligence 21(4): 293-309. Barrett, J. A. (2008) “Approximate Truth and Descriptive Nesting,” Erkenntnis 68: 213-24. Barrett, J. A. (2008) “Wigner’s Friend and Bell’s Field Beables” working paper. Barrett, J. A. (2007) “Dynamic Partitioning and the Conventionality of Kinds,” Philosophy of Science 74: 527-46. Aitken W. and J. A. Barrett (2007) “Abstraction in Algorithmic Logic,” Journal of Philosophical Logic 37: 23-43. Aitken W. and J. A. Barrett (2007) “Stability and Paradox in Algorithmic Logic,” Journal of Philosophical Logic, 36(1): 61-95. Barrett, J. A. (2006) “A Quantum-Mechanical Argument for Mind-Body Dualism,” Erkenntnis, 65(1): 97-115. Barrett, J. A. (2005) “Relativistic Quantum Mechanics Through Frame-Dependent Constructions,” Philosophy of Science. 72: 802–813. Barrett, J. A. (2005) “The Preferred Basis Problem and the Quantum Mechanics of Everything,” British Journal for the Philosophy of Science. 56(2): 199-220. Barrett, J. A. and Aitken W. (2004) “Computer Implication and the Curry Paradox” Journal of Philosophical Logic 33(6): 631–637. Barrett, J. A. (2004) “Many-Worlds and Many-Minds Formulations of Quantum Mechanics” Encyclopedia of Philosophy, Macmillan Reference USA. Barrett, J. A. (2004) “On the Cognitive Status of our Best Physical Theories”. Barrett, J. A. and P. K. Stanford (2004) “Prediction” The Philosophy of Science: An Encyclopedia, Routledge. Barrett, J. A. (2003) “Are Our Best Physical Theories Probably and/or Approximately True?” Philosophy of Science 70: 1206-1218. Barrett, J. A. (2003) “Everett’s Relative-State Formulation of Quantum Mechanics” (2003 version) Stanford Encyclopedia of Philosophy. Barrett, J. A. (2003) “Everett’s Relative-State Formulation of Quantum Mechanics,” Stanford Encyclopedia of Philosophy. Barrett, J. A. and F. Arntzenius (2002) “Why the Infinite Decision Puzzle is Puzzling,” Theory and Decision 52(2): 139-147. Barrett, J. A. (2002) “The Nature of Measurement Records in Relativistic Quantum Field Theory,” in M. Kuhlman, H. Lyre, and A. Wayne (eds.) Ontological Aspects of Quantum Field Theory, World Scientific, Singapore (2002). Barrett, J. A. (2000) “The Persistence of Memory: Surreal Trajectories in Bohm’s Theory,” Philosophy of Science 67(4): 680-703. Barrett, J. A. (1999) The Quantum Mechanics of Minds and Worlds, Oxford University Press: Oxford. Barrett, J. A. (1998) “The Bare Theory and How to Fix It,” in The Modal Interpretation of Quantum Mechanics, D. G. B. J. Dieks and P. E. Vermaas (eds), Kluwer Academic Press (1998). Barrett, J. A. and F. Arntzenius (1998) “An Infinite Decision Puzzle,” Theory and Decision 46(1): 101-103. Barrett, J. A. (1998) “On the Nature of Experience in the Bare Theory,” Synthese 113(3): 347-55. Barrett, J. A. (1997) “On Everett’s Formulation of Quantum Mechanics,” Monist, 80(1): 70-96. Barrett, J. A. (1996) “Oracles, Aesthetics, and Bayesian Consensus,” Philosophy of Science, 63(3): 273-280. Barrett, J. A. (1996) “Empirical Adequacy and the Availability of Reliable Records in Quantum Mechanics,” Philosophy of Science, 63(1): 49-64. Barrett, J. A. (1995) “The Single-Mind and Many-Minds Versions of Quantum Mechanics,” Erkenntnis 42: 89-105. Barrett, J. A. (1995) “The Distribution Postulate in Bohm’s Theory,” Topoi, 14(1): 45-54. Barrett, J. A. and D. Z. Albert (1995) “On What It Takes to Be a World,” Topoi, 14(1): 35-37. Barrett, J. A. (1995) “Quantum Mechanics and the Measurement Problem– Introduction,” Topoi, 14(1): 1-6. Barrett, J. A. (1994) “The Suggestive Properties of the Bare Theory of Quantum Mechanics,” Erkenntnis 41: 233-252.